Beverly Hills was one of the first ever large scale residential compounds to be developed in Sheikh Zayed City, off the Cairo-Alexandria Desert Road. 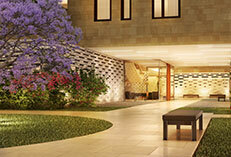 Beverly Hills has developed into a cozy yet vibrant community, and has become a sought out address in west Cairo. 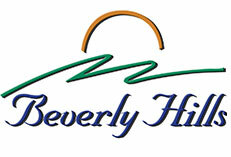 Property value in Beverly Hills has more than doubled in the past six to 12 months. 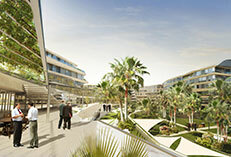 Beverly Hills, SODIC’s first venture, is a 1.75 million square meters mixed-use residential and commercial development that generated over EGP one billion in revenue for the company. Beverly Hills delivered in 2001 with over 3000 of luxurious villas, town houses and apartment surrounded by a spacious landscaped area and gardens with wide streets and vast cycling lanes in all streets. A Social club house with a large restaurant, TV room and main hall to hold birthdays, parties and other social events, beside sports facilities; tennis courts, foot ball court, multipurpose court, gym and SPA. Two language schools in Beverly Hills; Beverly Hills German School (BHS) and New Vision International School (NVIS), to meet all the educational requirements of our clients, in addition to three nurseries. A medical center with specialized doctors and dental clinic center equipped with the latest technology and the highest quality material. Four pharmacies are available on the site; two of them are open 24/7. Cafes and restaurants, hair dressers, beauty centers, jewelry ,small hyper market, supermarkets, Fruit & vegetables Shop, households services, car rentals, motorcycle showroom, pets vet, stationary, dry cleanings, tailor, Banking ATMs, internet and computer service and gas station. The walk; situated in Beverly Hills - Sheikh Zayied , is a Mixed-use community with amazing luxury apartments, commercial complexes, offices, gardens and spacious parking areas and large kids area as well. The walk contains 170 units: including 17 residential units, 33 offices and 80 shops. Developed by : Trenta Company. Montree is a residential district offering a comfortable, convenient life with contemporary buildings with elevators and large parking spaces surrounded by a spacious landscaping and fountains. Passadena is a vibrant residential district combining the pleasure of living in spacious apartments within a very cozy community. 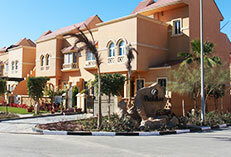 Pasadena contains 96 unit built on 19773 Sqm and developed by: El Hakim construction company.